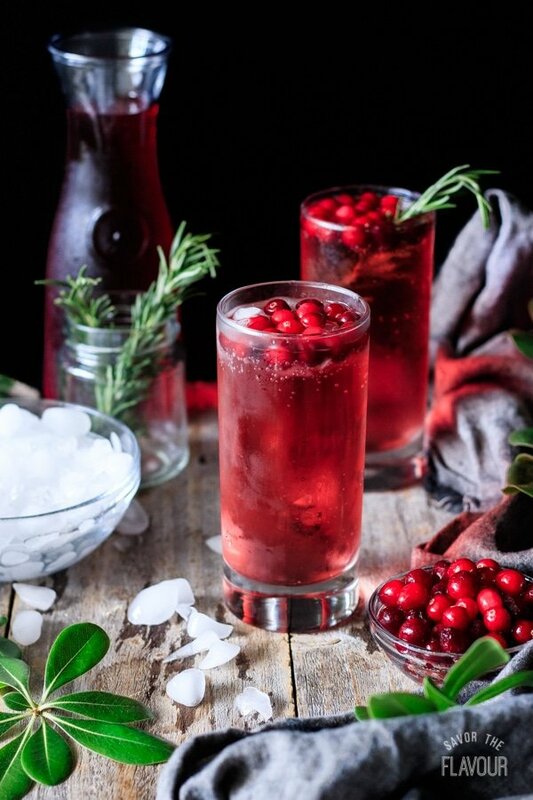 Sparkling cranberry mocktail is a ridiculously easy mocktail that’s full of sparkles and fun! 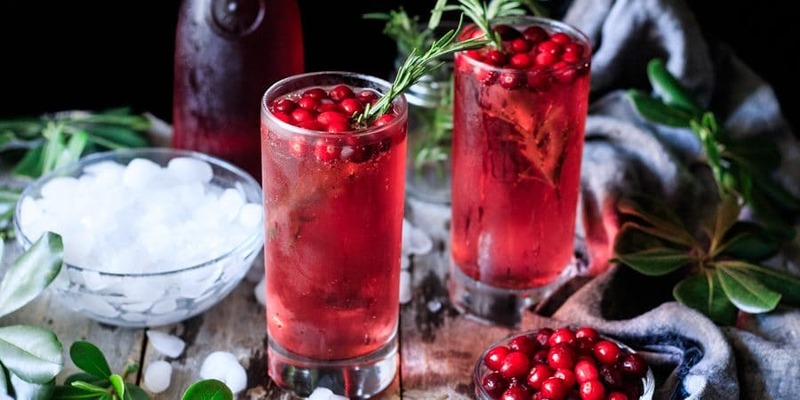 Just mix together cranberry juice with some cranberry Sprite and garnish with ice, rosemary, and fresh cranberries to craft a delicious non alcoholic drink. 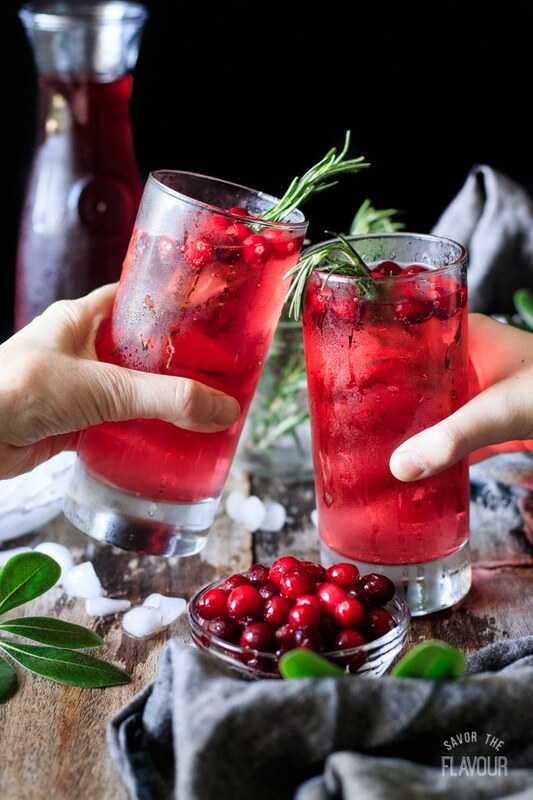 Family and friends will love this holiday mocktail on Thanksgiving, Christmas, or New Years Eve! For Christmas 2017, Mom and I were invited to a friend’s house for Christmas dinner. We enjoyed a large and delicious meal together, which featured a showstopping 16-pound prime rib! 😋 Towards the end of the meal, our friend asked us if we would like something else to drink. Mom chose this delightful sparkling cranberry mocktail, and she watched as our friend made it for her. She really enjoyed the lovely flavor of the drink, and let me taste it too. It was even more delicious than it looked! Mocktails are a “cocktail” that doesn’t contain alcohol–hence the “mock.” They are a fun and tasty drink you can enjoy without having any alcohol. 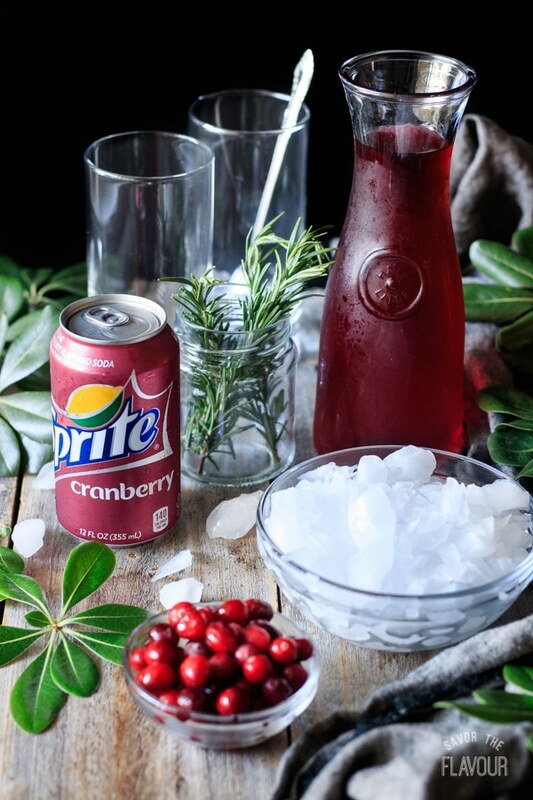 Pour 6 cans (about 2 liters) of cranberry Sprite into a punch bowl or drink dispenser. Mix in 14 fl oz of cranberry juice. 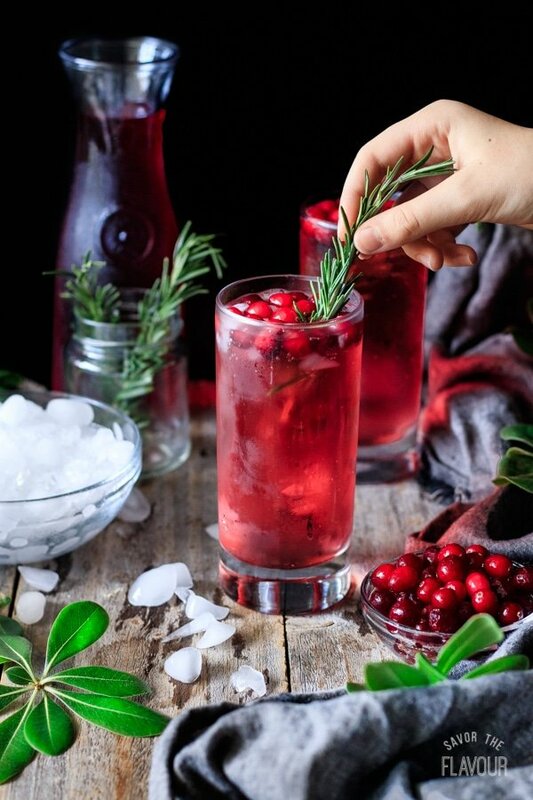 Float fresh cranberries and rosemary sprigs in the drink. Make a cranberry ice ring as a special garnish. Freeze a few inches of water in an angel food cake pan or small bundt pan and add fresh cranberries in it. Set the pan in warm water for a few seconds, then turn it out into the punch bowl. 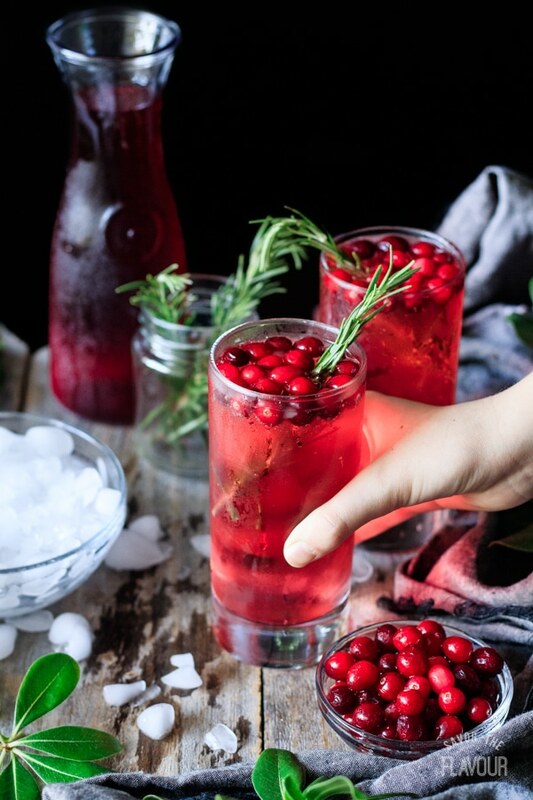 How do you make cranberry mocktails? Gather the ingredients: cranberry juice, cranberry Sprite, fresh rosemary sprigs, crushed ice, and fresh cranberries. Pour 1/3 cup of cranberry juice into a 15.5 ounce glass. Fill the glass with cranberry Sprite (about 1 1/2 cups or 12 fl oz). Leave a little room at the top for garnish. Add some crushed ice and a few fresh cranberries. Don’t forget the rosemary sprig; it adds a lot of flavor and aroma to the drink! Squeeze the juice of a fresh lemon wedge into your glass. Add a few drops of Angostura orange bitters. 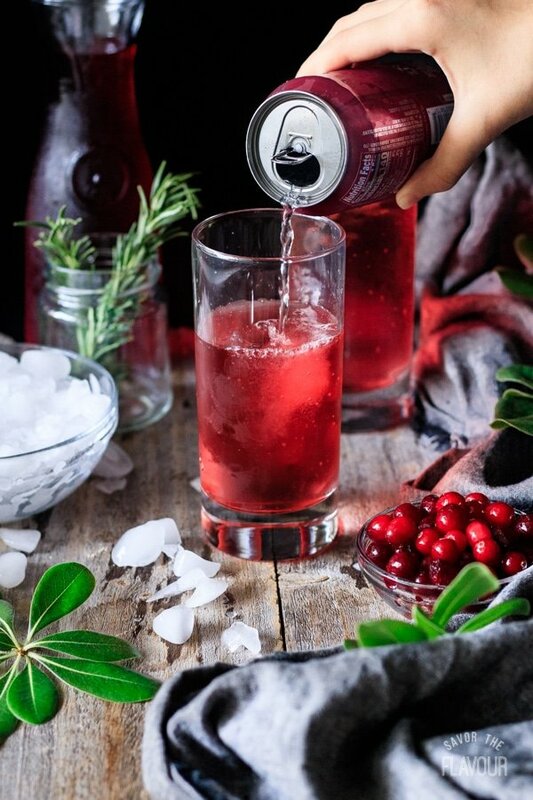 Try cranberry ginger ale instead of cranberry Sprite. Pour in a few tablespoons of simple syrup to add sweetness. Save some time by rinsing the rosemary sprigs and fresh cranberries a few hours in advance. Can’t find cranberry Sprite? Use cranberry ginger ale or regular Sprite instead. Chill the cranberry juice and Sprite for at least a couple of hours to ensure a cold drink. Adjust the ratio of cranberry juice and Sprite to your personal taste. 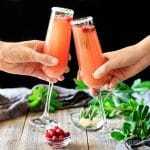 Searching for more nonalcoholic holiday drinks? You won’t want to miss these ones. Classic Shirley Temple: a quick and easy drink made with grenadine, ginger ale, and lemon juice. 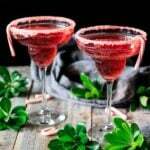 Candy Cane Mocktail: a delicious drink made with homemade strawberry simple syrup. Cranberry Apple Cider Mocktail: four fruit juices blended with sparkling water, simple syrup, and orange bitters. 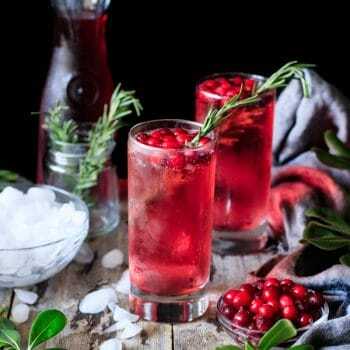 Did you make this sparkling cranberry mocktail? Please leave a star rating in the comments below to share how you enjoyed it. Rinse the fresh cranberries and rosemary sprig. 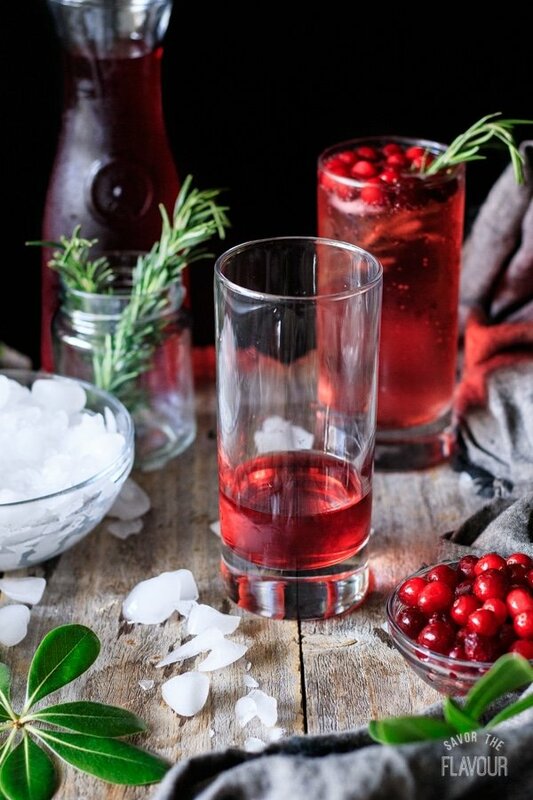 Pour the cranberry juice and Sprite into a 15.5 ounce highball or Collins glass, then gently stir to combine. 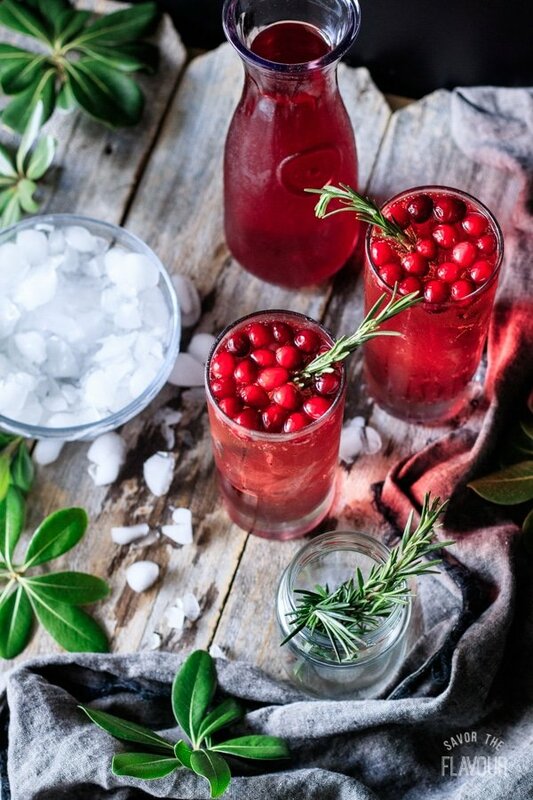 Garnish with crushed ice, fresh cranberries, and the rosemary sprig. Serve immediately.